October 31st 2008 is viewed as the birthday of Bitcoin. Ten years on, the cryptocurrency is leading the charge to transform the global financial system. Whether you think Bitcoin is a fraud or the harbinger of a new financial system, the market disruption is undeniable. From the ashes of the global financial crisis, a white paper titled Bitcoin: A peer-to-peer Electronic Cash System, written by the elusive Satoshi Nakamoto, outlined a new socioeconomic reality. The tenet was to build a system that could direct payments directly between entities, “without going through financial institutions”. In an era where faith in public institutions had been crushed, this guiding principle was revolutionary. Within this framework central banks would no longer control the access to currency, nor its movements. A core piece of Satoshi’s vision was the decentralized ledger called the blockchain. 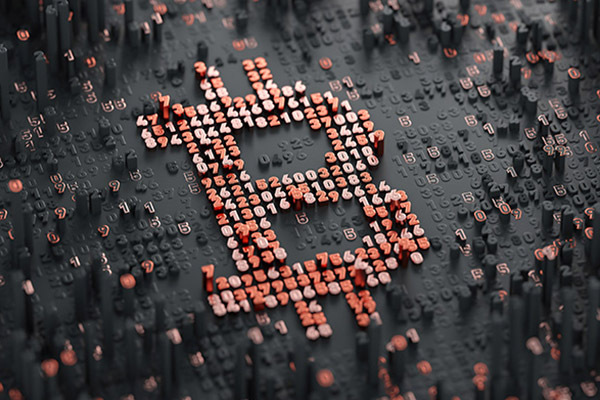 Interestingly, while Bitcoin functioned quietly for many years, I only received sporadic questions from a handful of clients, a technophile quant coworker and the media. It was only when the price of Bitcoin suddenly passed $1,000 that the world began to take note. The higher the Bitcoin price rose, the louder became the critics and devotees. Jamie Dimon, CEO of JP Morgan, called Bitcoin a “fraud” while Ben Bernanke’s letter to Congress stated that crypto currencies “may hold long term promise”. The hype reached unprecedented heights, with critics declaring it was the greatest bubble of all time (stealing the title from the Tulip Bubble of 1637) as the price surpassed $19,500. At the height of the crypto bubble, Bitcoin and all of the other cryptos total market value reached over $900 billion. In addition, the blockchain developed to support Bitcoin’s decentralized functionality has built a new system for capital raising via Initial Coin Offering (ICO). Despite jaw-dropping price volatility, hacks on exchanges, fears of centralization and changes in coin programming, Bitcoin continues to function exceptional well. Detractors point to the collapse of prices as evidence of Bitcoin’s failure and coming demise. However, we see the father of crypto as a success as the coin does exactly what it is built to do. To potentially enable monetary freedom.